A disturbed mother abandons her children. 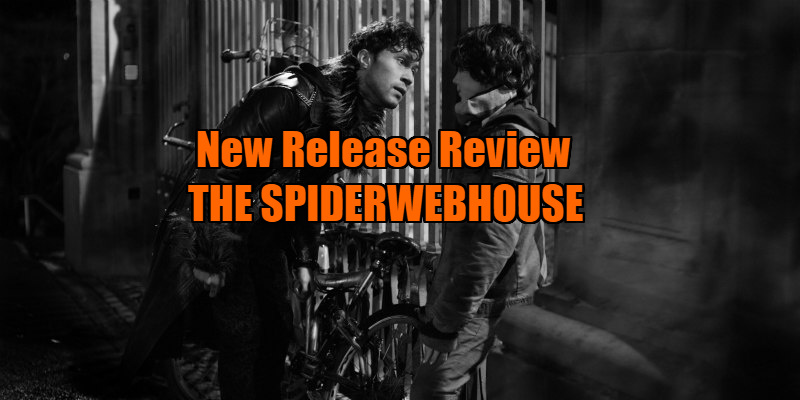 A film nominally concerning the plight of a working class single mother and the strained relationship she endures with her disadvantaged brood of three young children, The Spiderwebhouse establishes its social realism mise-en-scene early. We observe the domestic drudgery of picking kids up from childcare and school, witness the bland disappointments of municipal parks; this is a world where there is no time for imaginative rumination, scant space to breathe and play and bond. No wonder beleaguered mum Sabine (Sylvie Testud) swerves her car to and fro on the road to amuse the kids, almost killing them all in the process - oops! Director Mara Eibl-Eibesfeldt (working from Johanna Stuttmann’s screenplay) weaves in sparkling moments of childish play during these early scenes, most memorably when eldest child, the 12-year-old Jonas (Ben Litwinschuh), entertains his younger siblings Nick and Miechen by telling a story of a cat caught in the snow, and illustrating the narrative by liberally sprinkling washing powder over Miechen’s soft-toy kitten. However, such fanciful detours are soon overwhelmed by the fraught reality of Sabine’s situation, a cacophony which comes via the rattle of a fallen saucepan lid, yammering kids and inevitable tears; the unfortunate consequences of the heterosexual lifestyle gone horribly wrong. In our culture we prize the family unit, and celebrate children, but the reality, unspoken for the main part, is that parenting is difficult, and, indeed, sadly impossible for some. Pretty soon Sabine pegs it (who can blame her?) and leaves the kids to their own devices in this less pervy Teutonic take on The Cement Garden. Jonas takes it upon himself to lead the charge, and the trio find a childish bliss in freedom (for about a couple of hours, at least). We transition from the chaotic mess of Sabine’s perception, to low angled shots filled with wonder and innocence, seeing a trip to the funfair from the kids’ point of view. They have a rum old time at home, too, as they run riot having food fights and shoplifting from the local supermarket. However, sooner rather than later, the money runs out, the degradation of an unkept house piles up, and little Miechen gets sick. They’re recognised in the supermarket, and fear being taken away by social services. What to do now?! The confusing thing about The Spiderwebhouse is its lack of a discernible objective. After seeing the world through both adult Sabine’s eyes, and then her children’s, we don’t really see the film’s point of view. The idea that all films should have an implicit moral or message is silly, but seeing as it is firmly within the realms of social realism (in black and white too, so you know it’s serious), with such attention paid to themes such as mental illness, homelessness and vulnerable children, there doesn’t seem to be a guiding principle to The Spiderwebhouse. Jonas hooks up with a homeless fella in leathers (Felix - Ludwig Trepte) who becomes an ersatz father figure for the lad, teaching him how to knock over the supermarket’s infinitely stocked warehouse (there is an open window which Felix can launch Jonas through - very careless of the supermarket). Luckily, Felix is not one of those heroin ravaged homeless who have been driven to a state of trauma by their experiences: no, Felix is one of those wise tramps who apparently speaks in rhyme (this is lost in translation) and teaches Jonas about spiritual things. Likewise, the community surrounding the children is kind and thoughtful, yet naive, as they check in on the kids and fall for the lies about mum being upstairs asleep all the same. [SPOILERS FROM NOW ON] Jonas realises towards the end of the film that the ‘Sunny Fields’ which his mother has absconded to in order to confront her ‘demons’ is actually a psychiatric hospital, and the demons are nothing less than mental illness. To his further chagrin, Jonas discovers a pile of his mother’s artwork in her room, which depicts her children as literal demons, emerging from expressionist flames to haunt an emaciated, pencil drawn self-portrait. I can’t help but think that this was the more interesting story of The Spiderwebhouse; a parent driven mad by the unbearable pressures of raising three children on her own, driven to despise and possibly even fear them. How many people share this potentially shameful circumstance? How interesting would it be to explore such an unspoken theme, instead of indulging the mildly diverting drama of Jonas scrubbing about trying to hold it together? Instead, as it stands, after the 90 minutes running time of The Spiderwebhouse spent with her kids, I was ready to join poor old Sabine in ‘Sunny Fields’ myself. 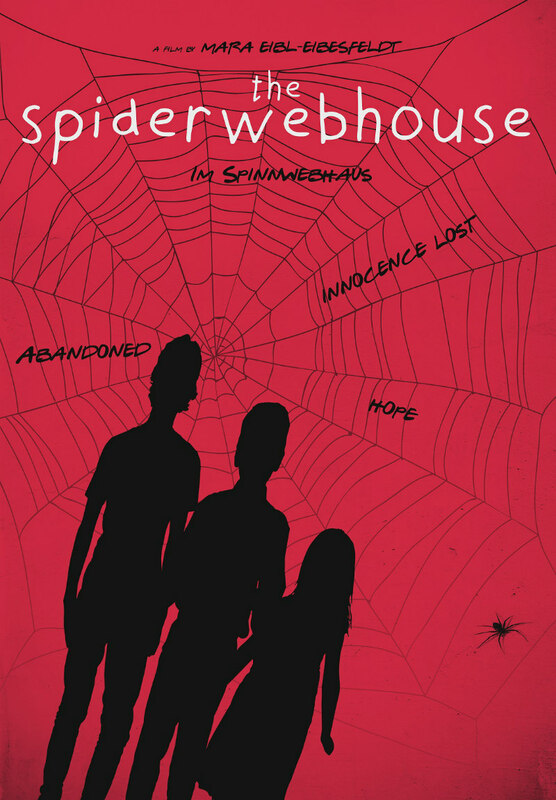 The Spiderwebhouse is on VOD November 7th.